On the cover of Beth Moran's, novel are these words to describe the novel. "...chick-lit as it should be." If Chick Lit is no longer trending in bookstores, that is sad. "The Name I Call Myself" is great. Along with lighthearted days, there are very serious situations taking place in the novel. This Christian novel is basically about survival and song. Yes, the wedding gown is part of the novel, not a big part. I think the cover of the book and the blurb on the back might mislead readers. Don't look to read much about a wedding trousseau. The most important part of the novel is that a dangerous man named Kane is getting out of prison. It is possible he might harm Faith and her brother, Sam, again. He has already caused the family tremendous physical pain and loss. Yes, this is about Larissa's, best gift. It's a wedding dress for Faith, her future daughter-in-law. The horrible wedding dress is why I chose the novel. It's just that now I'm more involved with the relationships in Faith's life. I've almost forgotten about the ugly wedding gown. Death isn't always a quiet affair in a room with only the buzz of a fly. The person dying is still very much aware of the psychological processes of the people close to her. This is the case for Joanna DeAngelis. She is in the last stages of cancer. She is very aware of her daughters and the men in her life, a husband and a boyfriend. 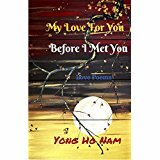 This poetry book, "My Love For You Before I Met You" by Yong Ho Nam is about love and marriage. The poetry is broken up into three sections. These poems are a way of leading us back to see the beauty of love and marriage. Each poem is written for the wife of the speaker. Some poems really spoke to me while others did not move me at all. I did have the desire to widen the net and capture all loving relationships. However, I wasn't sure how the author, Yong Ho Nam, would feel about my idea. It just seems like these poems could fit marriage or friendship or a family relationship. Because there is always a need for inspiring thoughts, helpful thoughts about change and struggle as we journey through life. Here are a few lines that speak volumes and make me think about not having the one I love with me or not having the chance to share a beautiful moment with that person. Don't you know that I need you? Have you ever been called egotistical or arrogant? If so, this is the perfect book for you. 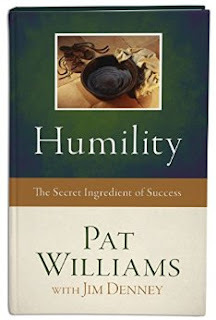 Pat Williams With Jim Denney shares a description of haughtiness and how to change the characteristic. It's a medium sized non-fiction book packed with simple ways to become more humble. Best of all I liked the stories about different famous people. I did not expect to become so interested in Abraham Lincoln again. After all, there are many, many books written about his life. However, these stories were new to me. The author does seem opinionated at times. 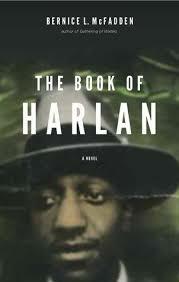 It is good to keep your thinking cap on and choose how you feel about the people mentioned in the book. The quotations at the top of the chapters are very helpful. In the end, it is definitely not easy to understand humility. It is a book that takes hard thought. Thank goodness, the authors leave hope at the end of the rainbow. "Humility is a learnable skill." I can't imagine living on an island. I suppose that's one reason "The Cottage" by Michael Phillips fits me. I have visited the Sea Islands in Georgia. It's such a different feeling knowing you're on a piece of land that has an end and a beginning. Land where the water surrounds you. These islands are the Shetland Islands. The blurb on the back speaks of peacefulness. Reading about the author I learn that he, Michael Phillips, and his wife have chosen to live in California and only visit Scotland. 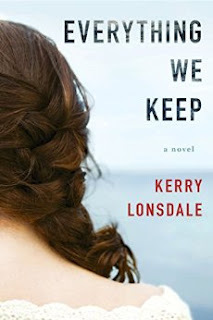 In the plot of "The Cottage," there is an inheritance for Loni. I love reading about inheritances, European locations and treasure. I've already read about a journal. I like to read about journals in a novel too. I hope this journal plays a big part in the novel. 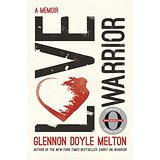 I appreciate Glennon Doyle Melton's journey toward becoming in touch with herself in her book "Love Warrior." It's not an easy journey. It's one where she learns knowing what she needs, what she desires and what she doesn't want in her life will lead her closer to the joys in life. The truths she learns do not come without extraordinary pain. Along the way, it felt good to read a person's true opinion about our churches. There are still cracks among the congregations of these Holy places. There are a few congregants who still have not discovered how to speak to another person's pain. Instead certain ones still come with a list of what you should have done and what you need to do now in order to fix your problem. Are they like Job's friends? I feel free to mention Job here because the author does mention God in the memoir. It was my feeling that she traveled to the churches of God first for help. I have enjoyed another cozy. This one, "Murder in the Secret Garden" by Ellery Adams involves chilling poisonous plants like the mandrake and chemicals like Arsenic. From what I can understand poisonous plants can also have good benefits along with those too awful deadly ones. There are also facts about rare books. One character goes so far as to steal an Herbology which is small enough to fit inside a waistband. There is the Gutenberg Bible, monks and what can go terribly wrong in an order, in this case the Benedictine order. It seems we are unafraid to do wrong in the most holiest of places.